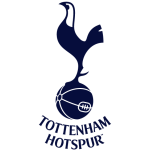 Tottenham overcame a poor Werder Bremen side 3-0 on Wednesday to confirm their progression into the next round of the Champions League at the first time of asking. Younes Kaboul gave Spurs the best of starts after just six minutes when he volleyed Aaron Lennon's chipped cross into the net, before Luka Modric did the same to Peter Crouch's knockdown right at the end of the first half to put the Champions League debutants firmly in control at the break. Another fine display from Gareth Bale was slightly dampened mid-way through the second half when he missed a penalty, but that was long forgotten by the time Crouch added a third 10 minutes from time. The game started slowly, with Spurs passing the ball around their defence and midfield as they looked for an opening. It was none other than Bale who seized the first opportunity and he flew down the left flank to force a corner from Werder full-back Fritz. The resulting corner was half-cleared by the away side and Lennon, in acres of space, chipped a ball into the penalty area for Kaboul to volley home very neatly to give Spurs the vital lead with just six minutes on the clock. 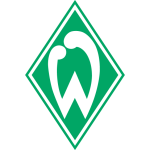 Werder, who have lost five of their last six matches in the Bundlesliga and missing 10 players through injury, could be forgiven for expecting the inevitable but they came straight back at Tottenham with the exciting Marin delivering a cross of his own into the Spurs area that forced Gallas to backtrack quickly to clear. The game was being played at a slow pace in the first half with, bar the goal, the only moment of note being Palacios’ introduction following Jenas’ withdrawal through injury. Spurs dominated possession but were seemingly more than comfortable to just sit back and play the ball around calmly until the moment to attack arose. One of these moments arose around 20 minute mark when, again, Bale rocketed down the left flank and delivered a decent cross to Crouch inside the box who flicked the ball to Pavlyuchenko, but the Russian miscued his half-volleyed attempt and the ball flew harmlessly wide. Minutes later and Spurs and, of course, Bale had another chance to extend their lead when Bremen conceded one of many fouls inside their area to allow the Welshman to try his luck from 30 yards, but the free-kick sailed just past Wiese’s post. The main worry for Spurs was not their opponents but their own complacency, which was slightly evident at times in the opening 45 minutes, one moment being a scuffed clearance by Lennon on the edge of his area that Hunt run onto and hurriedly booted towards Gomes’ goal that rolled wide. With more thought and time, which Hunt had, it could well have harmed Tottenham. But just as Spurs were threatening to lose their way, they nearly scored a second. Hutton and Lennon combined well down the right, with the latter having the pick of Crouch or Pavlyuchenko, both in plenty of space, to find. The winger went for the Russian but the striker took a touch and hesitated long enough for Proedl to get a block in and the chance was lost. One of the German side’s main objectives appeared to be to a foul on a Spurs player at every opportunity as they had been penalised 13 times in the first half alone. But this fierce tactical approach from Thomas Schaaf didn’t stop the home side adding to their lead in first half stoppage time. Hutton delivered a cross into the area for Crouch to head down and there was Modric to wait for the ball to drop, and in doing so outfoxing Proedl, and then volley into the net. It was identical to the sidelined Van der Vaart’s goal against Aston Villa earlier in the season and the finish was equally impressive. As we have seen many times recently with Spurs, they didn’t just sit back and ride out the victory in the second half. Within 10 minutes Bale had hit the bar with a wonderful dipping free-kick, then he, yet again, whipped in a fantastic ball for Crouch to inexplicably head wide from two yards. Minutes later Modric was darting into the penalty area, only to be tripped by Kroos, and a penalty was given. Up stepped man of the season Bale but, in a sudden change of fortune, the Welshman’s poor penalty was easily saved and the score remained at 2-0. However, going on his current form, never has a penalty miss been forgiven so quickly. Another highlight for Spurs during the game was the introduction of Defoe, who came on for Pavlyuchenko for the last 30 minutes for his very own Champions League group stage debut, and the striker nearly made an immediate impact when he picked the ball up just inside the Werder half, drove towards the opposition goal and let fly from the edge of the area, only for Wiese to bat the ball away. Apart from their persistant fouling, Werder’s other tactic was to try and start counter-attacks, and they were gifted two fine chances when first Lennon gave the ball away on the right flank only for Modric to get back superbly to nick the ball away from Hunt, before a mistake from Hutton let Marin in, with Gallas this time producing some brilliant defending to avert the danger. With rumours of Schaaf offering his resignation after last weekend’s 4-0 defeat to Schalke, this performance would not have helped change his mind as Werder showed precious little in attacking threat or defensive organisation, and Crouch put the nail in their coffin 10 minutes from time for a thoroughly convincing 3-0 win. Lennon again found himself in plenty of space on the right-hand side, so he jinked into the area, nut-megged his marker and laid the ball on a plate for Crouch to side-foot volley into the net from eight yards out. The pace, unsurprisingly, slowed to a walk as Werder looked completely demoralised and going out of the competition with a whimper and Spurs every bit the Champions League side they have become. The final whistle was all it needed to be confirmed and Spurs can now celebrate progression into the last 16 at the first attempt, something their north London rivals Arsenal only managed to achieve at the third time of asking.